Our modern day society subsists on a diet which considers grains as a fundamental part of our daily food intake. The USDA food pyramid which is established throughout the world as our basic dietary requirements, recommends seven to eleven servings daily from this food group. But things have not always been this way, agriculture and farming have existed at most for ten to fifteen thousand years and humanity has been on this planet for a great deal longer. For over 2 million years our hunter gatherer ancestors survived with barely any grains at all. That means we have been eating grains for less then a ½ % of the history of humanity. This is but a blip in our evolution and it appears for some this has not been long enough for us to adapt to a grain based diet. Rye, Barley and all wheat grains contain the protein Gluten. The cultivation of gluten grain originated in the Middle East and spread westward to the Mediterranean basin and Northward into Europe. The Romans aided the development of grain cultivation in throughout most of Europe. However they did not conquer everywhere and parts of Ireland, Scotland, and Finland managed to evade Roman rule. The people of these regions have been consuming only small quantities of grain until recently and may not have had time to genetically adapt to grain consumption. Hence the exceptionally high rate of Gluten intolerant people in these regions. Celiac Disease is a permanent intolerance to gluten, the protein found in the aforementioned grains that results in damage to the intestinal lining in those who are Celiac. Celiac Disease is one of the most common lifelong disorders in both Europe and the US. Celiac disease affects the villi which are the finger like projections present in the lining of the gut that help us absorb the nutrients from our foods. For those people who are celiac consuming gluten will cause these villi to become damaged and they may no longer function properly. Removal of dietary products containing wheat often results in complete resolution of gastrointestinal symptoms and a resumption of normal health. While Celiac disease has long been recognised as a problem by the medical community it is grossly underestimated and often overlooked. Many practitioners are not familiar with the many ways in which celiac disease presents or with the non-invasive methods available for identifying the disease. The majority of celiac patients had visited 5 or more Doctors prior to diagnosis and it had taken an average of 5 to 10 years, after initial presentation, for Celiac Disease to be diagnosed. About 47% of patients will have been misdiagnosed, and of those with classical symptoms of celiac disease, 59% have been misdiagnosed as having irritable bowel syndrome. IBS is the most common bowel disease in the world afflicting 22% of the Western population estimated at a whopping 85 million people. About 60% of these people are taught to be allergic to wheat. The above figures may seem frightening but what is even more worrying is that there is another piece of the puzzle that the medical community doesn’t even consider. That is, not everybody who is affected by gluten has classical celiac symptoms and that many patients have what is termed silent celiac disease, which may remain undiagnosed because the condition has no Gastro intestinal symptoms. Gluten sensitivity is regarded as principally a disease of the small bowel but it is often more then that. The immune response triggered by sensitivity to gluten may find expression in organs other than the gut including the central and peripheral nervous systems. There is reason to believe that gluten sensitivity may have a role in a myriad of diseases such as cancer, autoimmune diseases, osteoporosis, psychological disorders, chronic pain, infertility and problematic pregnancies. This form of silent celiac disease may not show as dramatic damage to the intestinal wall, but sufferers may have non specific, non abdominal symptoms. Those who have specific antibodies against gluten circulating in their bloodstreams but do not show intestinal damage are often forgotten. Unfortunately they may have underlying damage to other organs. Gluten grain may affect brain health because gluten grains contain morphine like substances that effect behaviour, cause learning difficulties, change emotions and moods, and cause or worsen neurological diseases. In those diagnosed with celiac disease there is a much higher rate of neurological disorders and autoimmune disorders occur 10 times more commonly in celiacs than in the general population. Depression is reported to be a feature of coeliac disease and DR. F Dohan Philadelphia researcher and psychiatrist found that there is a strong link between celiac disease and schizophrenia and in cultures where gluten containing grains are rare schizophrenia is rare or nonexistent. Many cases of osteoporosis and muscle weakness have been found in long term celiacs. Surprisingly these symptoms of musculoskeletal pain often resolve and bone mineral density normalizes when a gluten free diet is maintained. Untreated Celiac disease often increases the risk of miscarriage by as much as 50% and can affect the babies’ birth weight significantly. In one controlled study the academic performance of the celiac group was found to be inferior to that of the control group, in fact thye had a poorer employment rate, as well as occupational classification and socioeconomic status which suggests a uniform tendency to underachievement by the celiac subjects. Patients who are diagnosed with celiac disease often react with grief and many have a hard time understanding or accepting that something so fundamental to their diet could be injuring them. The therapy for the disease is a gluten-free diet; however, the response to therapy is poor in up to 30% of patients. The break away from gluten can be a difficult one because the gluten derived opiods in grains often cause an addiction to these “comfort foods” and for those who are gluten intolerant they will often find themselves facing symptoms of withdrawal or detoxification once a gluten free diet is initiated. Unfortunately our society is based around the premise that grains are healthy and should be a major part of everyone’s diet. However this is not true for all, as can be seen a diet based on grains can be devastating for some. We are now suffering from growing gluten gluttony and it appears our health may be paying the consequences. I will provide you with the motivation and assistance you need every step of the way. Having a personalised program will help you build a stronger, fitter, leaner and healthier you! Regular massage or neuromuscular therapy is incredibly useful for injury treatment or injury prevention and can be used in conjunction with exercise therapy for rehabilitation. 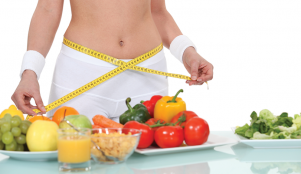 Learn the correct approach to a healthier lifestyle and a proper nutrition programme. In your initial consultation I cover goal setting, stress, sleep, nutrition, structurally balancing your body and body fat analysis. Follow me on my social media links to see regular snippets on health and fitness, take advantage of my special offers and enter some of my regular competitions. The materials on the Temple Training web site are provided "as is". Temple Training makes no warranties, expressed or implied, and hereby disclaims and negates all other warranties, including without limitation, implied warranties or conditions of merchantability, fitness for a particular purpose, or non-infringement of intellectual property or other violation of rights.